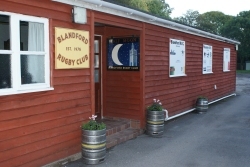 Blandford RFC currently has two locations within the Dorset town of Blandford Forum. 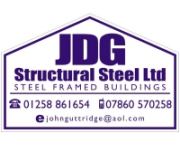 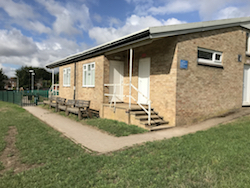 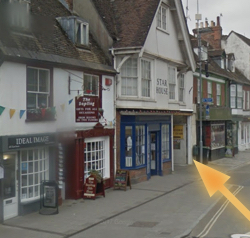 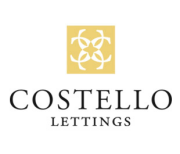 The main clubhouse is situated right in the centre of the town near the corn exchange and open air market area with the playing fields and associated Larksmead Pavilion off Larksmead Road, near the junction with Salisbury Road. 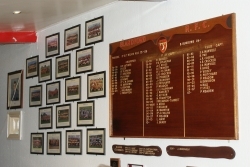 The main Clubhouse has been extended over the years but still maintains it's original character - and skittle alley! 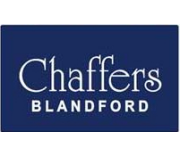 Blandford RFC moved back to the Larksmead ground just a few years back, these playing fields were the original home when the Club first formed in 1976, however significant works have been undertaken to level the pitches and the addition of flood lights has helped with evening training over the winter months. 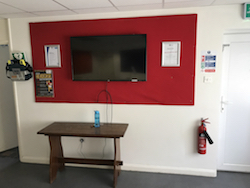 The Pavilion has an electronic wall display panel which can be hooked up to portable devices such as a laptop so presentations can be given to small numbers. 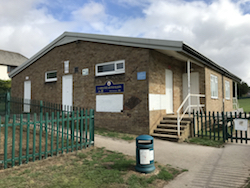 The Pavilion is located alongside a play area with furnishings for very small children so woud make an ideal location for hosting a birthday party. 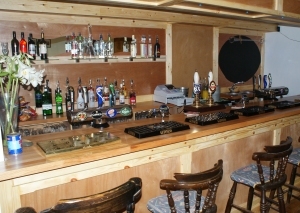 The Pavilion is open every home game for spectators to get a pint or hot drink and is also the location for special lunches such as VP or President's Invitation lunches. 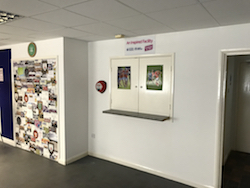 The Pavilion has changing room and shower facilities which are used for senior and youth games and has also ben used as the venue for Dorset & Wilts finals matches.